Bell Cow: April 10. Elevation below normal, water clear. Crappie good on minnows. Report submitted by Gary Emmons, game warden stationed in Lincoln County. Birch: April 11. Elevation normal, water upper 50s and clear. Largemouth bass good on crankbaits and spinnerbaits. White bass and striped bass hybrids fair on shad. Catfish good on cut bait, worms and chicken liver. Crappie fair to good on minnows and jigs. Report submitted by David Clay, game warden stationed in Osage County. Carl Blackwell: April 10. Elevation 6 ft. below normal, water 58 and muddy. Saugeye and striped bass hybrids good trolling with crankbaits and plastic baits. Crappie good minnows and jigs. Catfish good on cut bait. Report submitted by Jon Cunningham, game warden stationed in Payne County. Copan: April 10. Elevation below normal, water murky. Crappie fair on minnows at 2-4 ft. in Cotton Creek and Osage Plains. Catfish fair on worms and live sunfish in the lake. Report submitted by Joe Alexander, game warden stationed in Washington County. Eucha: April 12. Elevation 2 ft. below normal, water 63 and dingy. Crappie fair on minnows and jigs at 10-12 ft. around brush and structure. 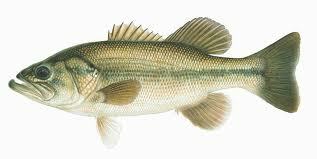 Largemouth bass fair on jerk baits and spinnerbaits. Catfish fair on juglines and trotlines baited with cut shad. Report submitted by Dwight Moore, City of Tulsa. Ft. Gibson: April 8. Elevation 1 ft. below normal, water 58 and clear. Crappie good on minnows and Bobby Garland twin tail jigs at 3-10 ft. around brush and rocky shorelines. White bass excellent on white grubs and silver rooster tails during generation below the dam and in the creeks. Largemouth bass good on crankbaits and spinnerbaits at 5-15 ft. Catfish good on juglines baited with cut shad in the main lake and good on live shad using rod and reel. Paddlefish excellent in the upper river at Mission Bend and low water dam. Report submitted by Rick Stafford in Wagoner. Grand: April 12. Elevation 1 ft. below normal, water 58 and clear. White bass excellent in Spring River. Blue catfish fair on fresh cut bait. Crappie good at 5-10 ft. around brush piles. Paddlefish excellent in the Neosho River. Report submitted by Jeff Brown, game warden stationed in Nowata County. Greenleaf: April 11. Elevation normal, water clear. Largemouth bass excellent on spinnerbaits, crankbaits and buzz baits along shorelines, creek channels and brush structure. Catfish good on fresh cut bait on bottom. Crappie good on minnows and jigs in green, yellow and red around brush structure. Report submitted by Lark Wilson, game warden stationed in Muskogee County. Hudson: April 11. Elevation 1 ft. above normal, water 54. Largemouth bass good on small crankbaits and spinnerbaits. White bass good on small lures and minnows in the upper end of the lake along mouths of creeks and below Pensacola dam. Crappie good on minnows and small jigs in shallow water around brush piles. Paddlefish good in the upper end. Report submitted by Steve Loveland, game warden stationed in Rogers and Mayes counties. Hulah: April 10. Elevation below normal, water murky. Crappie fair on minnows at 2-4 ft. Catfish fair on minnows and cut shad. Report submitted by Joe Alexander, game warden stationed in Washington County. This entry was posted on Thursday, April 14th, 2011 at 9:29 am	and is filed under Fishing Equipment, Fishing Poles, Fishing Reels. You can follow any responses to this entry through the RSS 2.0 feed. You can skip to the end and leave a response. Pinging is currently not allowed.